Back when I used to be immersed in the progarchives.com culture, I randomly came across a band named Iamthemorning, a Russian duet that stunned me with the pure and innocent beauty of their music, but also with the emotional and sometimes dark side of their lyrics. It seems that their collaboration is the intersection of neoclassical music and alternative/progressive rock, so to speak. So, I’ve been following them for a few years now, reviewing their first album “~” and then their follow-up “Belighted”. Marjana Semkina (vocals) and Gleb Kolyadin (keys) have gone from unknown indie band to being signed with Kscope and hanging with Gavin Harrison and other well-known proggers. But, as is so often the problem, progressive music just doesn’t pay the bills. 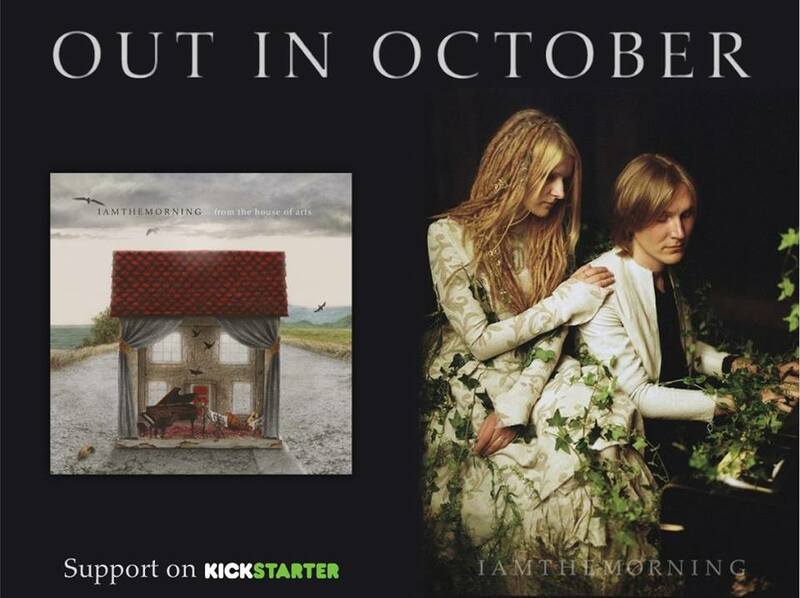 These hyper talented musicians are getting ready for album #3, and they need our help. In order to get the funds they need, they have launched a Kickstarter involving a new live album called “From the House of Arts”. Now, your first inclination might be away from a live album. I assure you that this live album is not a hastily produced item at all. In fact, it is most certainly one of the best live albums I have ever heard, and I’m usually highly critical of live albums. “From the House of Arts” is a nine track live album featuring a selection of songs from Iamthemorning’s first two albums. But it is so much more than a smaller band miming their albums on stage. No, this is an all-out stage production, featuring additional musicians. Now, I won’t go into all the many progressions of this band, but suffice it to say that their second album took their music from mostly vocals and piano all the way to a full sound with guitars, drums, and the whole gamut. Now, imagine that progression in a live format. 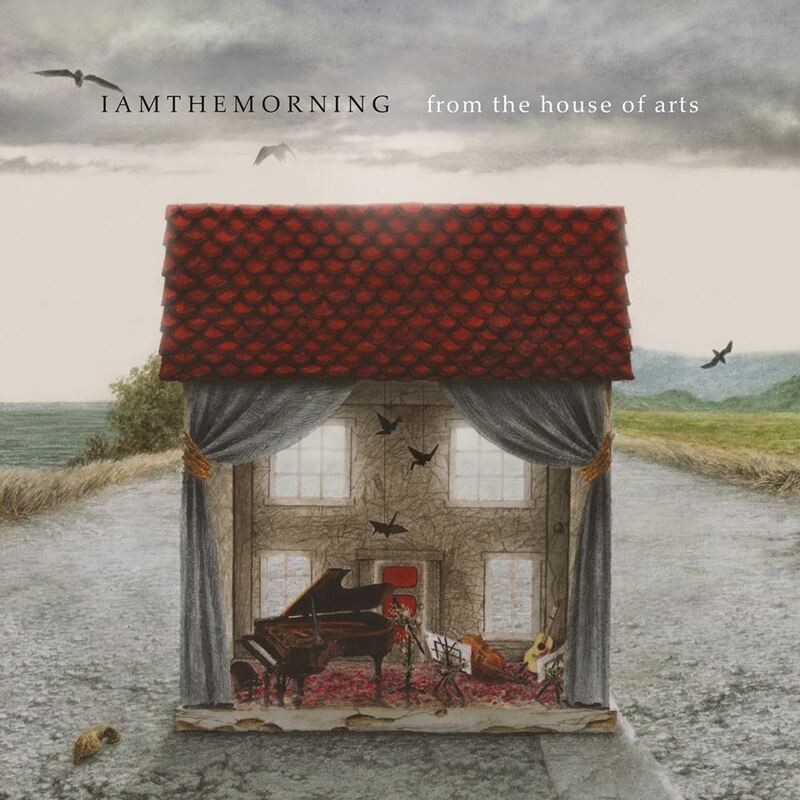 Iamthemorning, for all intents and purposes, have created their best album yet in “From the House of Arts”. Every song sounds very different, almost unrecognizable (in a good way). Not that the melodies have changed or that the lyrics are different; no, the band has simply fleshed out their music. The album starts with an intro that leads into “The Howler” off their second album. Honestly, this song sounds much the same as the studio version—which is still awesome. However, the live experience begins to take hold soon. We are taken through “Circles” and “Simple Story” and “Scotland” (one of their best songs) and more, and we begin to hear additional flourishes, new melodies, and so on. You see, when you play songs live that are usually played with only one instrument, you literally have to write the parts for the additional instruments. That is exactly what Iamthemorning has done here. Throughout the album, we are treated to exceptionally tight drumming, voluminous guitar lines, cello, beautiful violin, and gorgeous interplay between all of them. Of course, Gleb’s piano skills are literally second to none, and he goes off on some of his own mad scientist rabbit trails, adding flourishes and fills that give me goosebumps (my USA is showing). Lastly, Marjana herself provides the vocals and emotion. Her voice creates atmosphere unlike most other vocalists out there. Without a doubt, she sounds better live! And all of this is made possible by the exceptional sound engineering of both the concert and the mixing studio. Violins and especially piano sound like rushing torrents, guitars fill but do not overcome, and Marjana rises above it all. 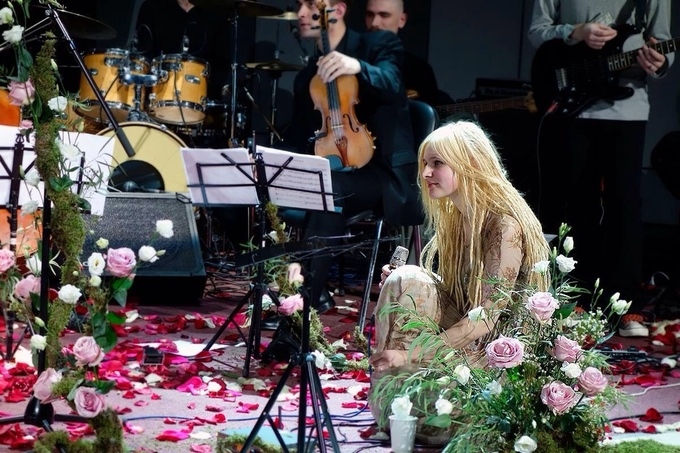 You really do feel like you are there watching them perform, minus the flowers. And you know what? You won’t want it to end. When it did end the first time, I just wanted to listen to it all over again immediately. So, whether it be the more playful version of “5/4” that features additional guitar lines, the incredible goosebumps of “Scotland”, or even the vocally-driven “Reprise” with it ominous loud and soft dynamics, “From the House of Arts” is a riveting and thrilling experience that will get your pulse-pounding due to the purity and organic nature of the music. Each and every song on this live album represents the definitive, best version of that song, respectively. By this point, I hope you are dying to get your hands on this album. Good. Head on over to their Kickstarter page (link below) and send a few dollars, euros, pounds, or whatever you have their way. You will not be disappointed, and they have some very unique rewards, too. As of this writing, they need $2,000 to meet their goal. Let’s get this done in a week.